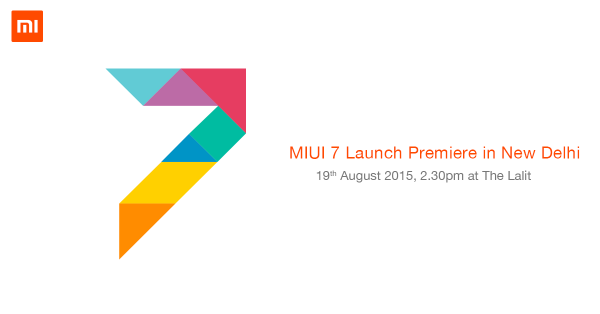 By now we all should have already heard that Xiaomi will be unveiling their latest MIUI 7 in Beijing this coming August 13 during one of their official event. Today, the company has also announced a global launch date for the upcoming UI as well and is set on the August 19. The company has already posted this piece of news on their Twitter page and has also confirmed that it will be launched at the Lalit in New Delhi, India. If you’re interested in this event, you can get yourself registered here!